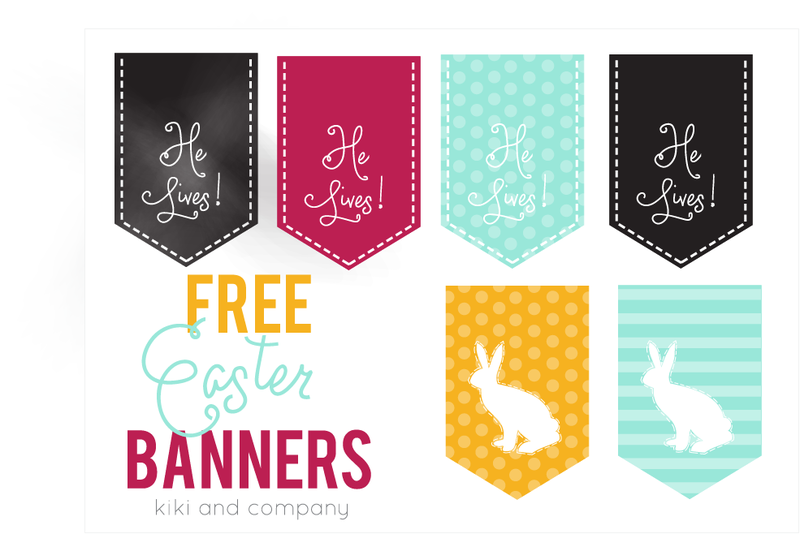 I also wanted to do a banner with the real reason for Easter. 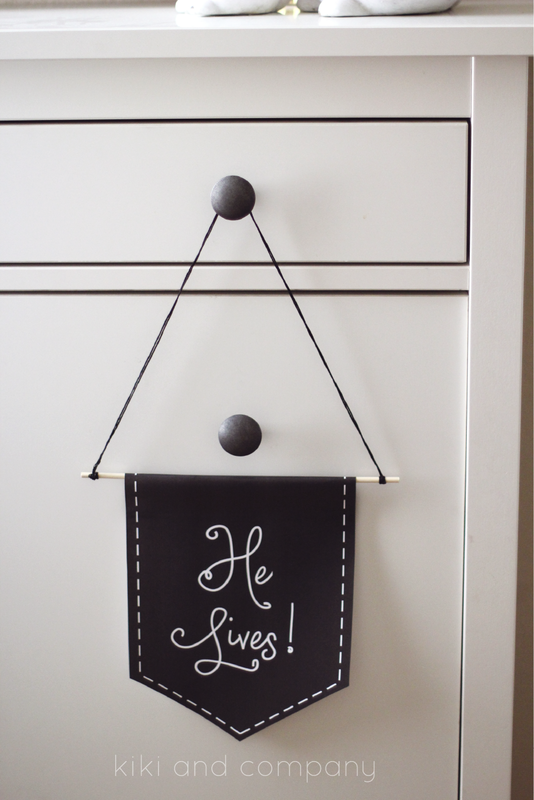 I love how simple and clear the print is. These banners are super simple to make. 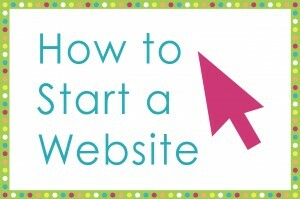 Simply take a dowel (however big you would like), fold the printable over it and hot glue. 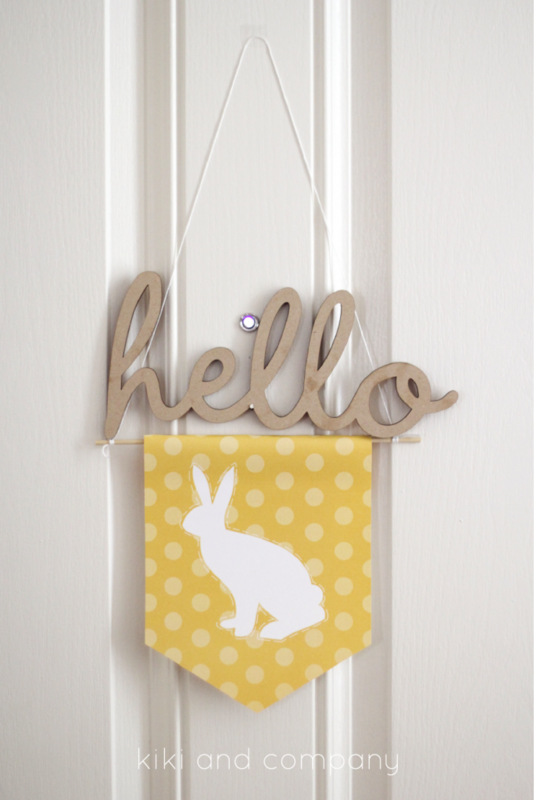 I then just tied some string to the two ends and voila, a quick and simple Easter-filled decoration. 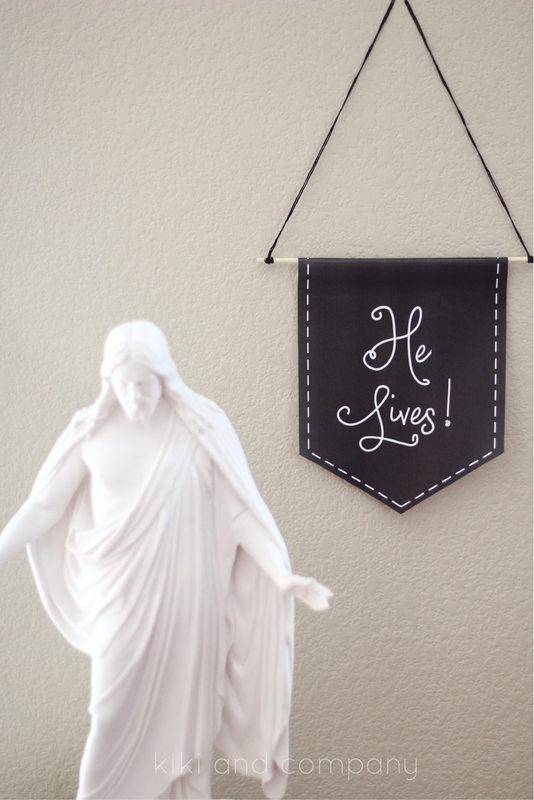 The “He Lives” printable comes in 4 colors. 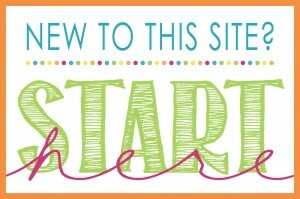 You can find the free printables by clicking HERE. 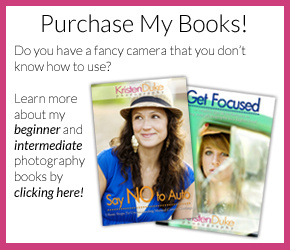 Thanks for having me, Kristen! 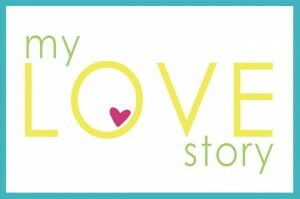 We will see you all next month. 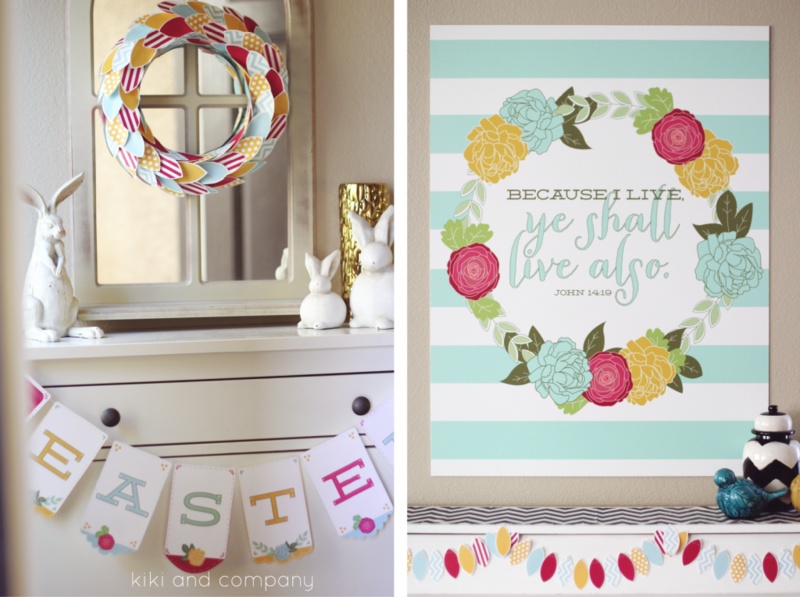 Don’t forget to come over and visit Kiki and Company where we are into full swing with Easter! 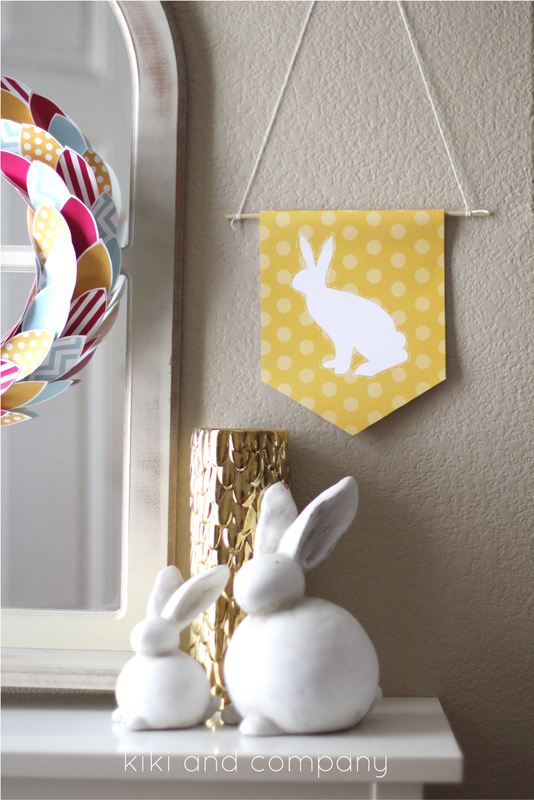 Check out other Kiki and Company Easter printables including big prints and Easter garlands by clicking HERE. 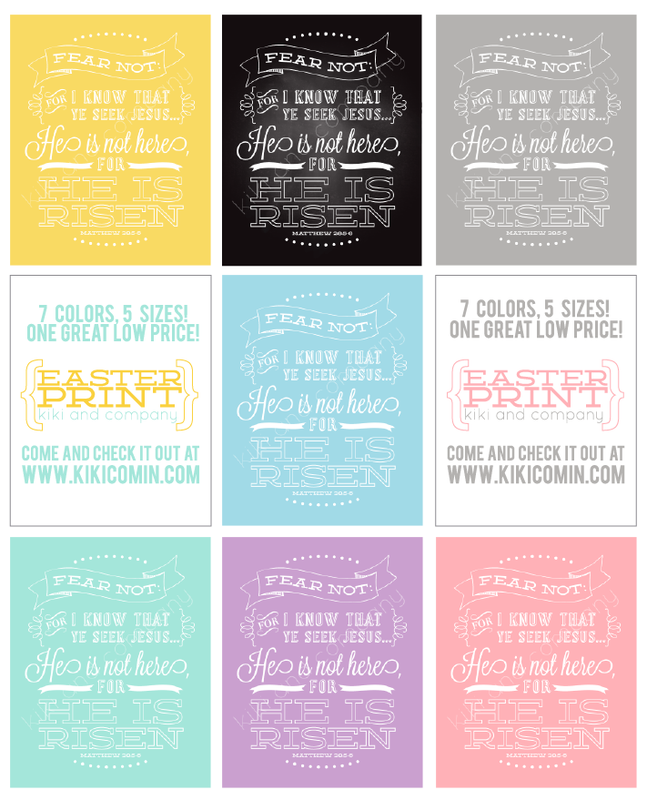 Check out Easter prints in lots of colors HERE. 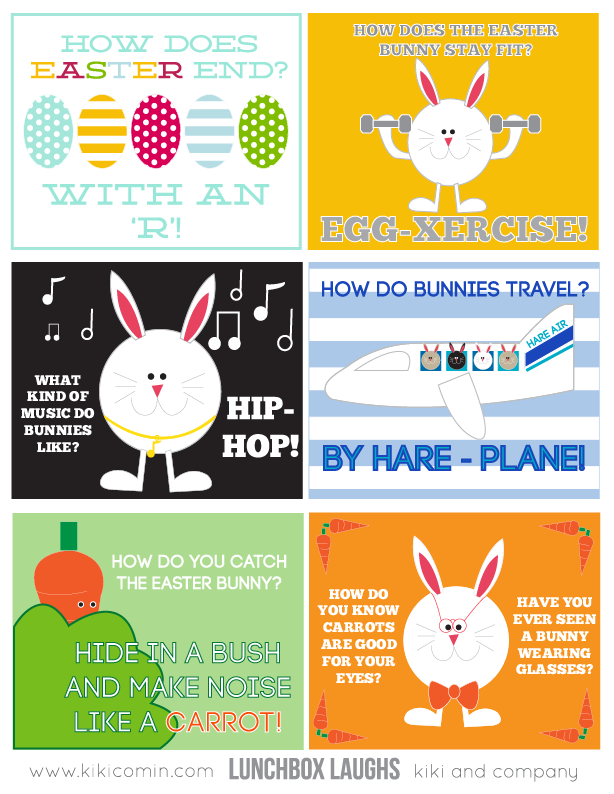 and get free Easter Lunchbox Laughs for your kids HERE.